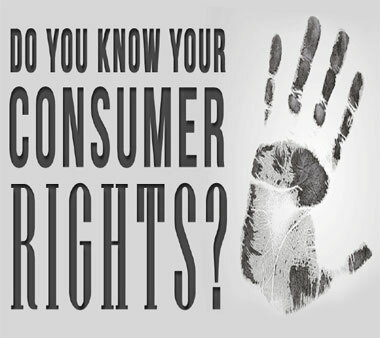 Consumer protection law is a state or federal statute designed to protect consumers against unfair trade practices involving consumer goods in addition to protecting consumers against damaged and dangerous goods. The laws are created to guarantee fair trade, competition, and accuracy throughout the consumer market. These laws are designed to prevent businesses from taking advantage of consumers with unfair practices or having an unfair competitive edge towards other businesses in the same market. In the Amazon cases we have reviewed, courts have typically allowed claims to proceed when a party has plead an unfair or deceptive practice in trade or commerce that affects the interests of the public and there is a causal relationship between the deception and the harm suffered by the moving party. Motions to dismiss are denied when a party sufficiently states a claim with relevant facts proving the possibility of a consumer protection violation. Ranazzi v. Amazon.com, Inc., 2015-Ohio-4411, 46 N.E.3d 213, 2015 Ohio App. LEXIS 4277 (Ohio Ct. App., Lucas County 2015). In this case the court stayed proceedings until the outcome of arbitration which was an enforceable forum for the dispute under the agreement between Plaintiff and Amazon for use of its website. Dean Nicosia v. Amazon.com Case No. 14-cv-4513 (SLT) (MDG). United States District Court, E.D. New York, February 2015. In this case the court dismissed claims against Amazon and directed plaintiff to resolve its claim through arbitration as plaintiff agreed to before making a purchase on Amazon’s website. Del Vecchio v. Amazon.com Inc., 2011 U.S. Dist. LEXIS 138314, 2011 WL 6325910 (W.D. Wash. Nov. 30, 2011). Amazon.com was a defendant in a case filed by Del Vecchio. Del Vecchio represented a class action against Amazon seeking relief under the Computer Fraud and Abuse act. Amazon motioned to dismiss and the court concluded that the defendant’s motion to dismiss should be granted because the plaintiffs failed to plead adequate facts to establish any harm. Ekin v. Amazon, LLC, 84 F. Supp. 3d 1172, 2014 U.S. Dist. LEXIS 181912 (W.D. Wash. 2014). This case stems from the use of Amazon Prime Services by the Plaintiffs and the alleged breach of contract claims directed at Amazon Services LLC. The Plaintiffs disputed the price changes for Amazon Prime Members and claimed that Amazon unlawfully changed the terms and agreements of their Amazon Prime membership. Defendant’s Motion to Compel Arbitration was granted because the court found the price dispute here to be within the scope of the arbitration agreement. FTC v. Amazon.com, Inc., 2016 U.S. Dist. LEXIS 41500, 99 Fed. R. Evid. Serv. (Callaghan) 1443, 2016 WL 1221654 (W.D. Wash. Mar. 29, 2016). In this case the FTC alleged that Amazon was involved in unfair business practices relating to in-app purchases. The FTC was seeking to exclude testimony of Amazon’s expert witnesses. The court found that the testimonies of certain witnesses would be helpful in providing relevant evidence to the case, and that others would not. Thus the motion to exclude the testimonies was granted in part and denied in part. FTC v. Amazon.com, Inc., 2016 U.S. Dist. LEXIS 55569, 2016-1 Trade Reg. Rep. (CCH) P79,600 (W.D. Wash. Apr. 26, 2016). This case claimed Amazon used unfair business practices because its software allowed “in-app purchases” that many consumers were not familiar with and thus many adults were not aware of charges incurred by their children. The court found that Amazon was liable for damages to the consumers for unfair practices, but that a permanent injunction was not warranted because there was no clear danger of Amazon making the same violation again. This case involved plaintiff’s claims that defendants violated antitrust laws through their store agreement with Amazon, as well as the defendants’ motion to dismiss. The court granted the motion to dismiss the antitrust claims and the unfair competition claim because it found that the plaintiff provided no actual evidence of the alleged injuries. This case involved the appellant challenging a judgment in a lower court that dismissed his antitrust claim against the defendants. The court affirmed the judgment of the district court because it agreed with the district court that plaintiff provided no evidence of the alleged injuries. Hart v. Amazon.com, Inc., 2015 U.S. Dist. LEXIS 164627, 117 U.S.P.Q.2D (BNA) 1584, 44 Media L. Rep. 1250 (N.D. Ill. Dec. 8, 2015). In this case, plaintiff authored three books and chose not to publish them to the public. Plaintiff discovered one of the books was for sale on Amazon. Plaintiff sent a letter to Amazon asking for the books to be removed from the website. The court found that plaintiff did not prove Amazon’s posting of titles directly copies any of their work and dismissed the claim. The plaintiff failed to make a claim that third-party sellers were liable for copyright infringement. The plaintiff failed to provide facts to support any of their claims. Peters v. Amazon, LLC, 2 F. Supp. 3d 1165, 2013 U.S. Dist. LEXIS 185964 (W.D. Wash. 2013). Plaintiffs are former third-party Amazon.com sellers. They sued Amazon alleging breach of contract, breach of fiduciary duty, violations of Washington’s Consumer Protection Act, and unjust enrichment. The Court found a valid agreement to arbitrate. Because the parties agreed to arbitration and Plaintiffs’ claims clearly fall within the scope of that arbitration provision, the Court granted Amazon’s motion to compel arbitration. The Court stayed the case for a period of 6 months or until arbitration was complete, whichever comes first, so that Plaintiffs could pursue their claims in arbitration. Vecchio v. Amazon.com, Inc. No. C11-366RSL, 2012 U.S. Dist. LEXIS 76536 (W.D. Wash. June 1, 2012). The court here was determining whether the plaintiffs had alleged sufficient facts to plead a plausible claim for relief such that the court should not grant defendants motion to dismiss. The court granted the motion in part and found that as to the CFAA and trespass to chattels claims that because plaintiffs had already had 2 opportunities to amend their complaint that plaintiffs clearly lacked the requisite facts to plead a sufficient claim. As to the CPA and unjust enrichment claims the court granted plaintiffs’ request for a “reasonable opportunity to present all the material that is pertinent to the motion.” Fed. R. Civ. P. 12(d).